Bathroom renovations and makeovers are wonderful when they are finally over. The mess, the inconvenience, the cost.. but, they are so worth it. A new bathroom is like giving your home a facelift. It feels great every time you walk in. Every bit of it seems to sparkle and feel all new again. But bath rooms are difficult to renovate, let's face it. That's why we don't jump at doing them. They are time consuming and can be expensive, even if you tackle the renovation yourself. And where do you start with bathroom decorating? This post will look into the ways you can renovate your bathroom, some ideas for your bathroom makeovers and ways you can make your bathroom look bigger and more luxurious - without knocking down walls. 1. Replacing a bathroom vanity. If you don't want to renovate your entire bathroom, consider a small makeover. Replacing a vanity and adding new taps is a great way to give your bathroom a new look. If you can stretch it, add sink cabinets for a more finished look. The upside is that this is fast and fresh and you can add a little storage while you are at it. The downside is that if you are restricted to the old decor and bathroom accessory styles. You can read a detailed article on this makeover at Hooked on Houses, click the links above or below. 2. Reduce bathroom items. Your bathroom will automatically look bigger if you can remove excess storage shelves, clothes hampers or decor which all take up valuable floor space. 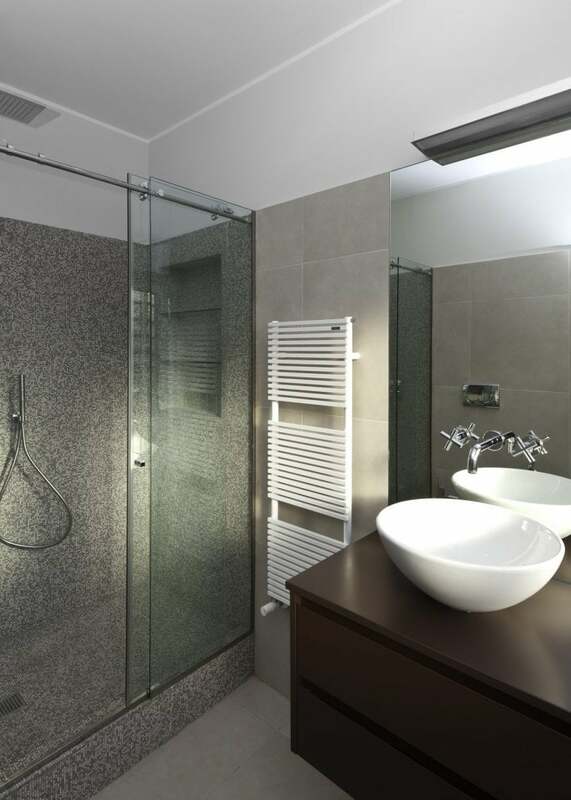 It might mean a mini makeover creating smarter storage in the bathroom or moving hampers to the bedrooms. 3. Reduce the vanity size. 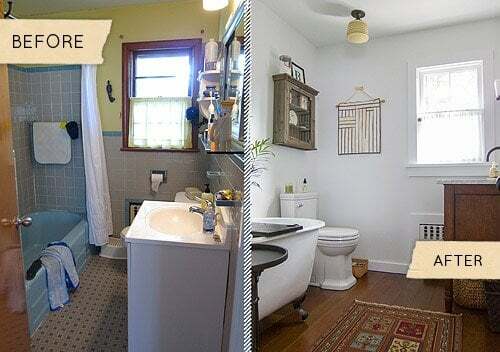 Making a small bathroom appear larger is always a problem. 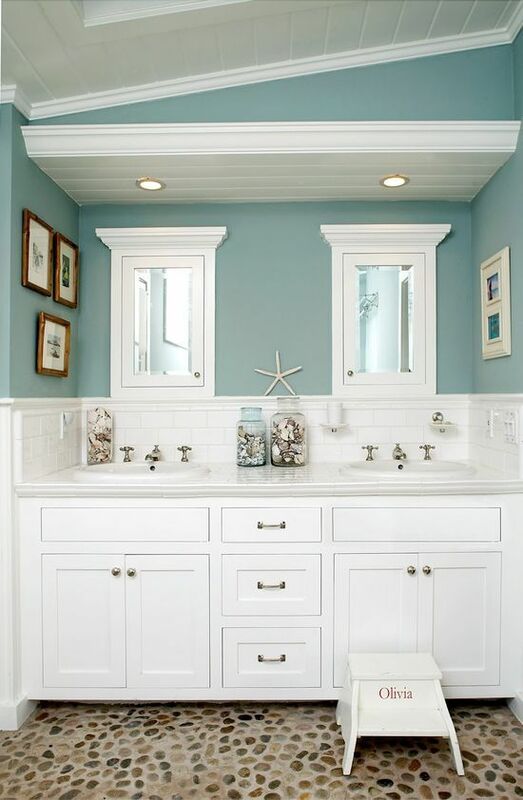 You can add 10% to your bathroom space by replacing a large vanity with a slimmer, pedestal sink. It will not only give you more space but look more streamlined and elegant. The bathroom renovation above cost $15,000. You can read more at Design Sponge. There are so many different styles and colors, matching your existing decor is easy. 4. 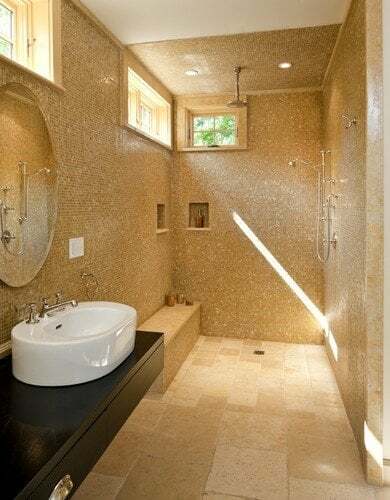 Adding space to any bath room using color, light and mirrors. Owning a large luxurious bath room isn't always possible. Even if your bath room is spacious, why not make it look even bigger? 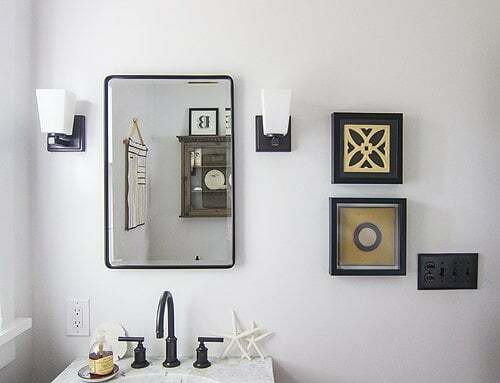 Instantly add space by using light colors, adding bathroom mirrors and making sure room is well lit. 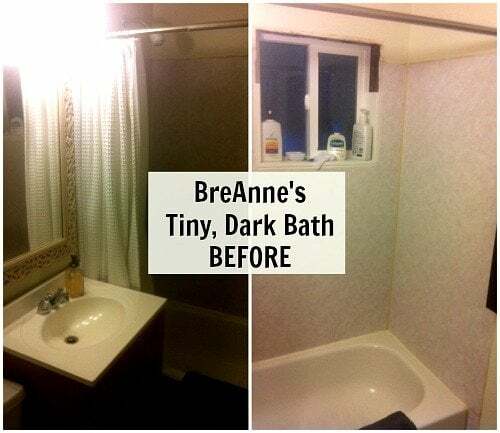 You're not really renovating your bath room but you are making it feel larger and lighter with some simple makeover basics. 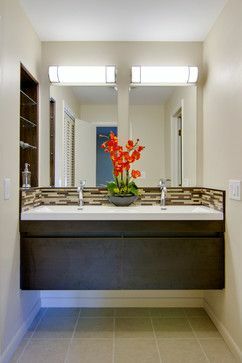 Bathroom mirrors are an inexpensive way to add light and space to your bath room making it feel bigger and lighter. One large mirror or two, even three smaller bathroom mirrors, can make such a difference to your space. You can choose bathroom mirrors or add cabinets with mirrors like those in the image below. 5. Replacing your bath tub with a Roman Shower. This is a little more challenging than painting a wall or changing the vanity but it will definitely give your bath room a new look. Taking out your bath tub instantly gives you more space while looking more modern and minimalist. Try replacing your bath tub with a Roman shower. This isn't a shower cabin. A Roman shower is an open shower space. 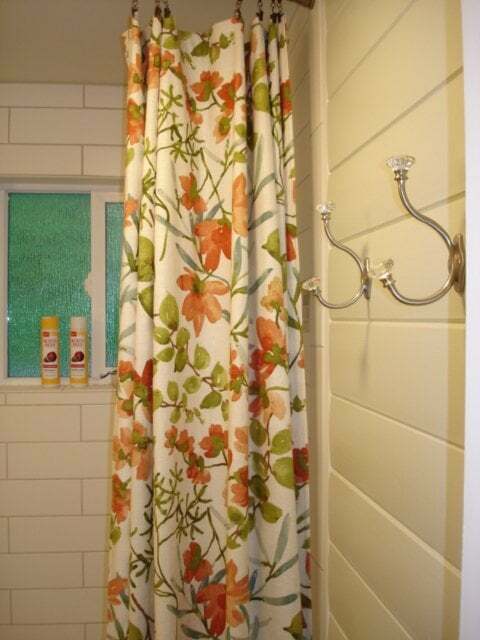 You can have a completely open Roman shower, use glass or a mix of glass and tile to create a wall. 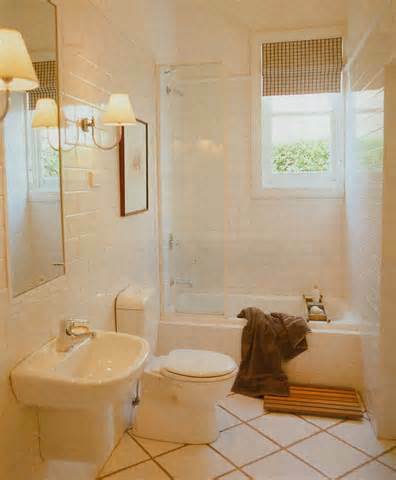 Creating a Roman shower turns the shower into the focal point of your bathroom. Its a great makeover look and there are so many different decorating styles to choose from, you can have any Roman shower look you like. 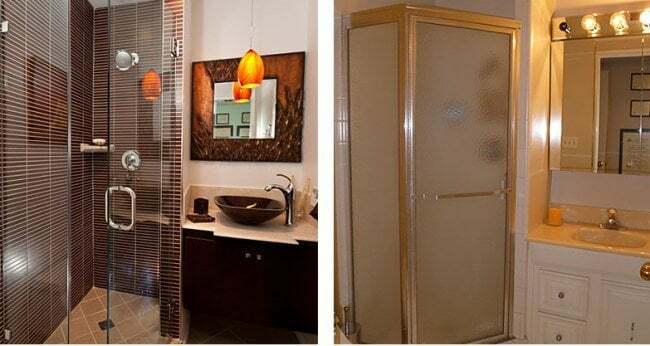 These showers not only look great but create a sense of open space and luxury.You can also get rid of shower curtains, which most people hate because they capture mold so easily and are so hard to clean. A Roman shower often uses self cleaning glass. Expensive? It was, but like anything, its getting cheaper as it becomes more popular. It's all about having a relaxing bathroom experience and enjoying it in your own style. 6. Change your taps. A quick makeover tip, if everything else in your bath room is in perfect working order and you love the style, is to change the taps. New taps can quickly change, and set, the mood of your room. Gold, silver, polished or dull, taps quickly say what your bath room is all about and with so many different designs, materials, styles, shapes, prices and colors to choose from you can change your room by changing your taps. 7. Change your style. Sometimes a renovation that changes over everything to a new style, while leaving everything in the same place, is the perfect makeover. 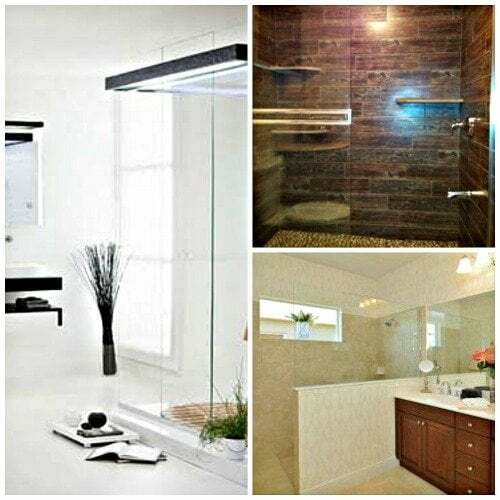 Below is a great makeover where shower, vanity and toilet are left in place, but streamlined, modern and cleaner look using new shower, vanity and toilet. 8. To make your floor area look larger, lay square floor tiles on the diagonal. This makeover tricks the eye especially on small thin bathrooms. 9. If you would like to increase your ceiling height, lay rectangular tiles like upright soldiers. 10. Makeover your lighting by placing lights either side of your mirror or mirrors at head height. This gives you great task lighting for your face; making shaving or applying makeup easier while giving your and the room a warm glow. Add more directional lighting or spot lighting above and you will have more than enough lighting. 11. Vanities attached to the wall, with bathroom mirrors above, make your room look and feel bigger and make it easier to clean the floor. You probably won't need to move out while the renovations take place. That means having workers in and out at odd hours. The best way to deal with this is to move your bathroom basics out of the bathroom. This could be the laundry, mudroom or an alternate bathroom. Expect mess. Use reputable professionals for your makeover. Yes, there are things you can do yourself but consult an expert whenever you can. This will cut down errors, time and expense. This includes design as well as plumbing or electrical matters. Design help doesn't have to be expensive. Budgeting. There are often unforeseen problems with any kind of structural work, so take this into account when you are budgeting for your new bathroom. Stick to your budget and time schedule especially if you have workers on site making decisions you have to pay for. Speak up. If you have contracted the work out, speak up if you think things don't look like the agreed plan. It's your property and you are footing the bill, so be polite and courteous but be curious. The video below gives you 5 more makeover tips on how to prevent the biggest renovating mistakes. These few renovation tips should give you some inspiration whether its a full blown renovation or a smaller makeover.